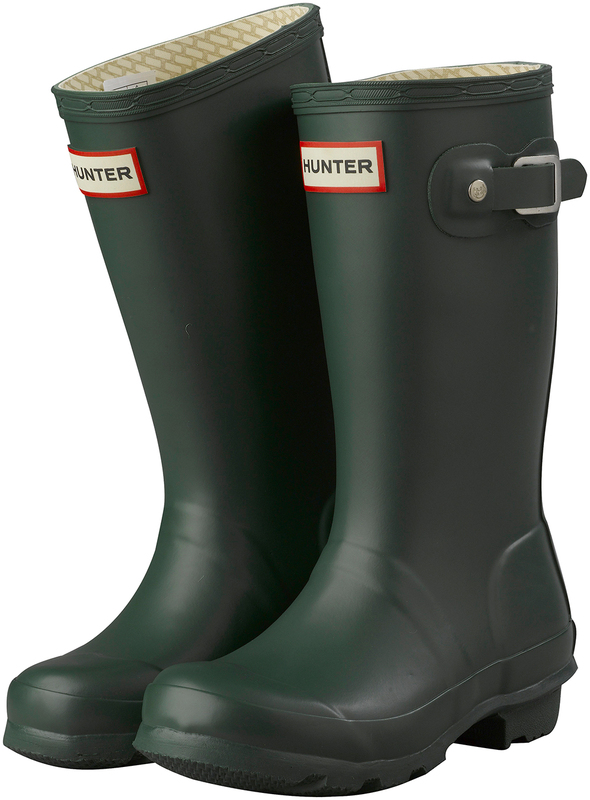 Meandering its way peacefully along the Essex/Suffolk border, the River Stour passes through rolling farmland and picturesque villages on its way to the estuary and North Sea. The Stour Valley footpath runs along most of the river’s length, but my favourite stretch is in the Dedham Vale Area of Outstanding Natural Beauty, made famous by the paintings of John Constable. Here, with gnarled and twisted ancient willow trees dotted along its banks, the river runs through cattle-grazed meadows from the village of Dedham to the tiny hamlet of Flatford. Both Dedham and Flatford are easily reached from the A12 between Colchester and Ipswich, and there are car parks close to the river at each. The walk along the river between the two villages is around 1.5 miles and, being mostly on flat grassland or muddy footpaths, is an easy stretch. Around the midway point a bridge crosses the river and another footpath branches off, taking you up the sides of the valley towards East Bergholt, where there are stunning views back across the valley to Dedham. If you’re not feeling that energetic, don’t despair, as those views can be seen from a lay-by on the one-way lane that takes you out of Flatford. The water meadows at Sudbury are another interesting area, immortalised by both Constable and Gainsborough. Running around the west edge of the town, the meadows are a five-minute walk from the town centre. 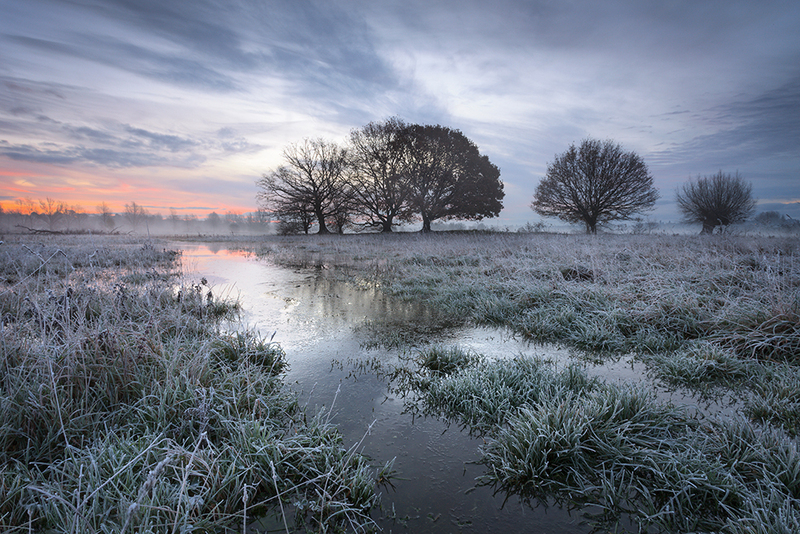 It’s possible to capture the charm of the River Stour all year round, even during the summer months when a blanket of mist hovering over the meadows and river is often the reward for those dedicated enough to get up in the early hours. The fresh greens of spring and rusty tones of autumn also have their charms, but for the atmosphere winter is hard to beat. 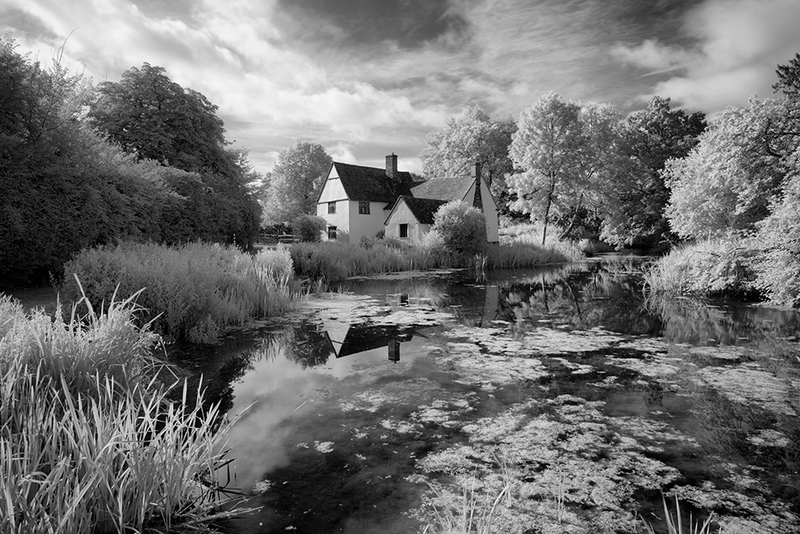 Although the famous mill and thatched cottages at Flatford look glorious lit by the last rays of sunlight on a winter’s afternoon, my favourite time to visit is first thing in the morning. On a still, crisp morning with frost in the air and the first pink blush of colour in the sky, it’s a joy to be out. A 24-70mm lens, or wideangle zoom if that’s your preference, will cover most of your needs along the river. A 70-200mm is useful for compressing the distance when shooting views over the valley and can help emphasise the effect of trees emerging from layers of mist. There is no shortage of places within walking distance to grab a bite to eat. As well as coffee and cake, the tea rooms at Flatford serve a rather nice home-made lunch, or if a country pub is more your thing then you’ll find a couple of traditional pubs on the high street in Dedham, both of which serve good food and also offer accommodation. If you want to splash out, then Milsoms hotel and restaurant overlooking the river just outside Dedham won’t disappoint. Better-value hotels can be found ten minutes along the A12 in Colchester (or Ipswich in the other direction). The Premier Inn near the A12 at Colchester is probably the most convenient. 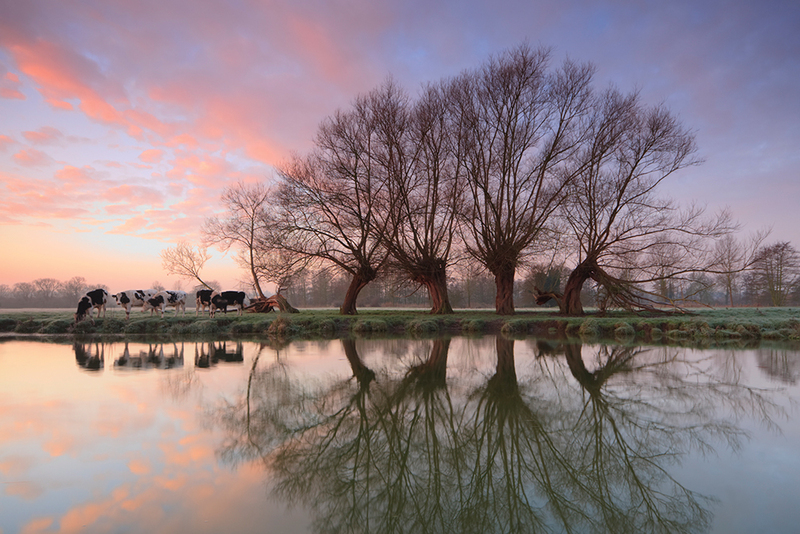 Thanks to the presence of cows, the banks of the Stour are usually muddy and the river is prone to flooding during the winter months, making some areas hard to reach without wellies. 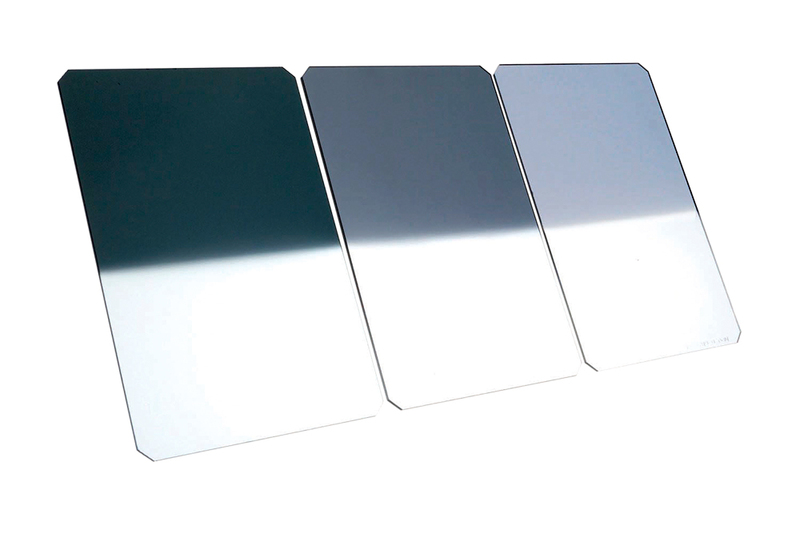 A set of ND grad filters will help your camera capture the large dynamic range when shooting around the hours of sunrise and sunset. Soft graduations are more natural for compositions with trees above the horizon. If you are arriving before dawn for sunrise (or returning after sunset), it will be quite dark along the river, so a head torch is essential for getting there safely and setting up without a hitch.